Be the first to share your favorite memory, photo or story of Nicolae. This memorial page is dedicated for family, friends and future generations to celebrate the life of their loved one. Nicolae Grui of Berkley died peacefully, January 29, 2019. He was 78 years old. Nicolae was born April 14, 1940 in Timisoara, Romania. He married Judith Goose in May of 1967. Nicolae was a mechanical engineer and worked until just recently. 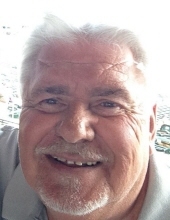 He was an avid Detroit sports fan and loved collecting sports memorabilia. Nicolae had a unique sense of humor and was able to make friends wherever he went. He was a true family man and will be deeply missed by many. Nicolae is survived by his son, Michael (Joanne) Grui, grandchildren, Amber (David) Eliason, Michael Grui, and Lexi Grui, and great-grandchildren, Scarlett and Liam. He is preceded in death by his beloved wife, Judi Grui and brother, John Grui. A Funeral Service will be held at Lynch & Sons Funeral Home, 1368 N. Crooks Road (between 14-15 Mile Rds.) Friday, February 1st at 12noon. Friends may visit beginning at 9am. Burial will be in Mt. Olivet Cemetery in Detroit. "Email Address" would like to share the life celebration of Nicolae Grui. Click on the "link" to go to share a favorite memory or leave a condolence message for the family.